Here are some answers to some frequently asked questions in regards to Qlik Sense. With Qlik Sense Desktop, how do I add images that I can use in my dashboards or thumbnails? Qlik will support these formats: .png, .jpg, .jpeg, and .gif. What are the differences between the Qlik Sense Hub and a Qlik mashup? The hub is a default website that acts as the starting point for Qlik Sense users. It displays all the applications you currently have access to. It does not require any programming. How do I use or call a SQL stored procedure from Qlik Script? How do I find the calculation condition in the web view to export a chart object? 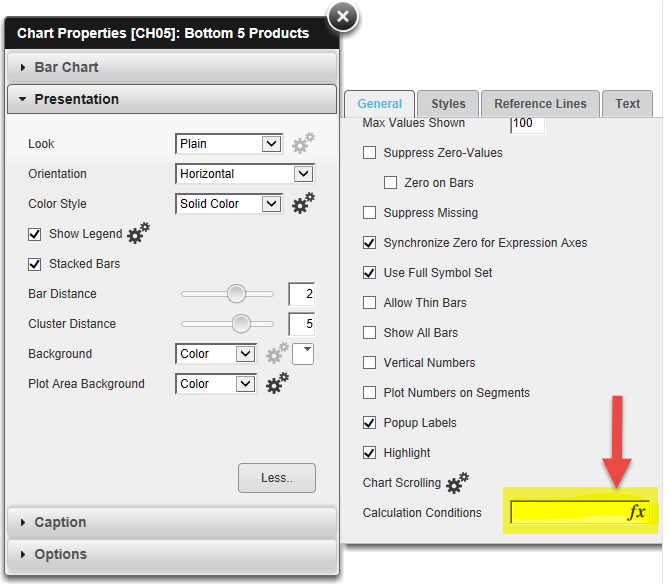 Here is how you can find the calculation condition thru the web view (viewing thru the browser). Remember to find the chart you want to get the data from and duplicate the chart. That way you can right click on it and view the properties.